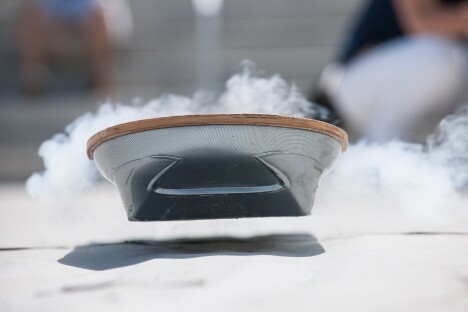 Pro skaters pull tricks on (and beyond) the pavement on this real-life hoverboard – at a distance, one might mistake their rides for normal skateboards, except for the steam from liquid nitrogen cooling superconductors to negative 320 degrees … oh, and that gap of air between the board and the ground below. Completing the futuristic scene, hovering drone cameras can be seen floating into and out of view, capturing wide-angle views and close-up shots of the gravity-defying skateboarders in action. Developed by Lexus, getting the hang of this electromagnetic contraption is still not trivial, even for professionals, as many falls and bails illustrate in the video above. Considering the challenge of relearning a fundamentally difference set of balancing variables, though, these skaters do quite well for themselves, even managing a few rail slides and to coast across a body of water. 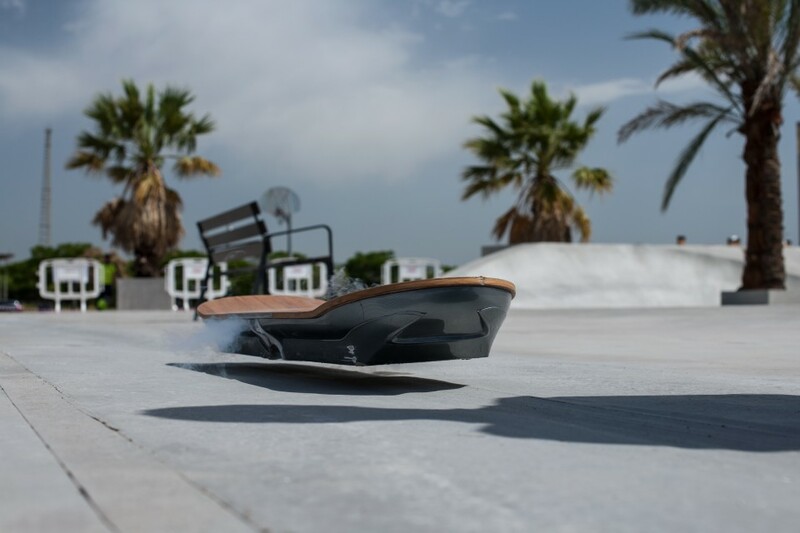 The device does, however, come with a significant catch: like other similar inventions, it relies on a metallic subsurface to function – the depiction of this scene as taking place a typical skateboard is alas somewhat misleading. Out in the real world, there are limited environments where one might actually make this work. 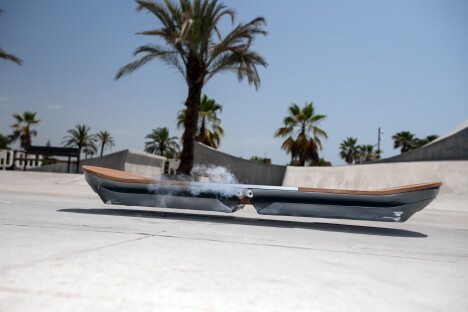 That being said, infrastructure changes, and should this take off as a recreational sport, new parks could be designed around these devices as well. At the very least, this one is a few steps past the Hendo in terms of technological compactness, robustness, stability and, of course, an outdoor demo to get people excited.